Step 1 - Log in to your WP Admin and go into Avada > Theme Options panel. Step 2 - While still in the Theme Options panel, switch to a different language using the Language Switcher in the top of the WP Admin panel. IMPORTANT NOTE: By default, make sure you have Theme Options set for English language because when you switch languages in wp-admin for the first time, they copy the theme options from English language options. Step 1 - In the Language Switcher on the top WP Admin panel, select All Languages from the dropdown. Step 2 - Once you've selected All Languages from the dropdown, the theme options for all the languages will be replaced by the default language you have set in WPML options. 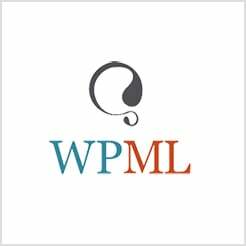 Once you make changes to any theme option, that change will be applied on all WPML languages. Avada & WPML, getting started.